I was looking for somewhere local, with good food for a quiet but delicious Saturday night birthday dinner. I’d been to Ripponlea Food and Wine prior to its renovation and expansion for brunch a number of times and really enjoyed it. I was keen to try their dinner menu, and to see the lush new fit out - I’ll admit to being a sucker for green velvet banquet seating. Sadly we were in the main area rather than the bar/banquet seating but the atmosphere is lovely. It’s modern but luxurious with black, green, and exposed brick, wood and glass. The green subway tiles in the bathroom are divine! We had an early 6:15pm booking and had to be out at 7:45pm for the next shift. The wait staff were friendly but seemed a little rushed and hectic - we waited to order our drinks and then to order our food. 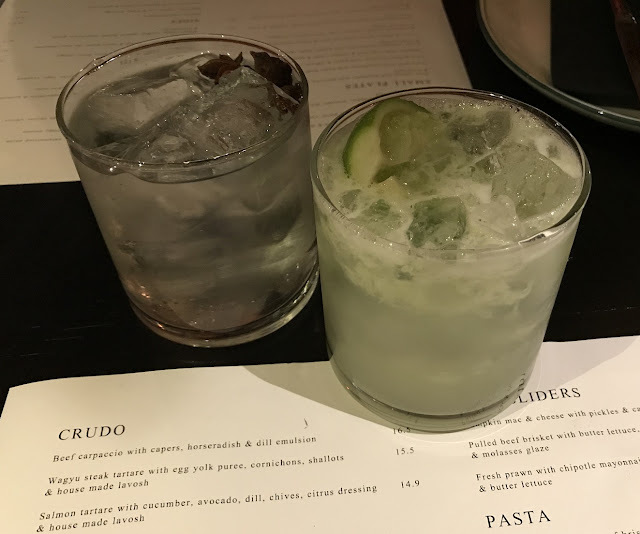 The cocktail menu made it hard to choose but I settled on the Caiprioska with Hippocampus vodka - it was beautifully made and refreshing with tangy lime. My companion’s Aviation gin and tonic was well received. I struggle to say no to a seafood slider so when I saw the prawn mini slider with chipotle mayonnaise, crispy onion, chives and lettuce I had to order it. Even though my companion didn’t order an entree! 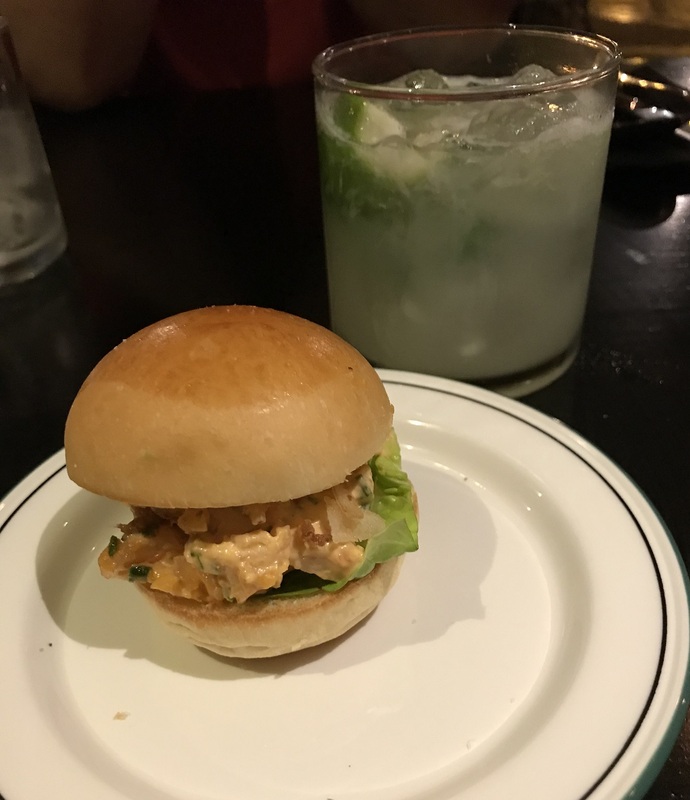 It came on a little warm buttery bun and was pleasant - the chipotle mayo was quite mild and could have had a bit more kick. Unfortunately our mains were delivered while I was eating my slider. 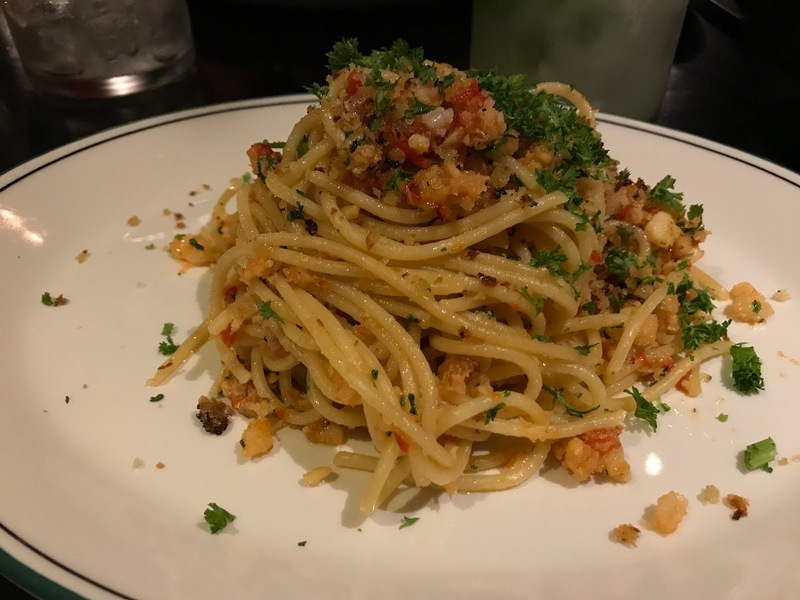 My crab alla oglio with chilli, garlic, white wine and EVOO made me happy to be there. The pasta was perfectly cooked al dente, with lovely balanced garlic and chilli flavours. They probably overwhelmed the crab a tiny bit but together it was all so satisfying and tasty I didn't care! 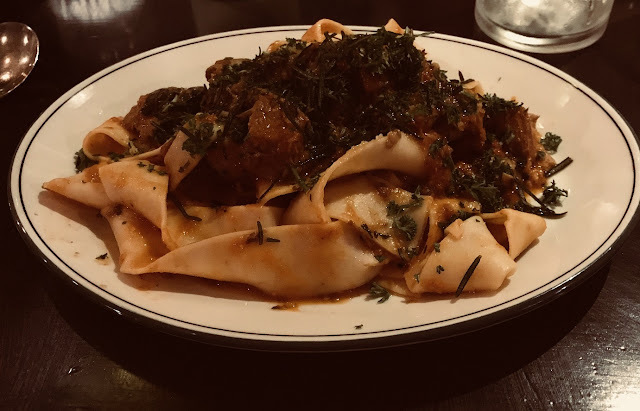 My companion ordered the slow cooked beef brisket with parpadelle and gremolata, she waited a little while for the requested Parmesan cheese to be brought. She enjoyed her meal, however she did comment that she could make it better herself. Luckily her dessert redeemed the meal for her! We both ordered the Golden Gaytime dessert (see first pic) - I’ll admit this was also part of my desire to have try Ripponlea Food and Wine for dinner! 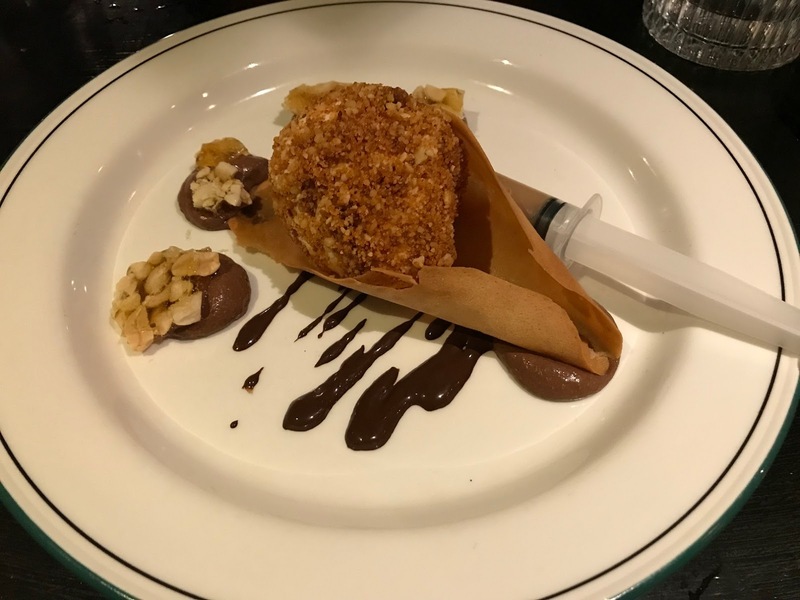 She loved the dessert - the vanilla ice cream coated in Gaytime crumb, with a thin crunchy wafer cone, chocolate mousse with peanut crunch, chocolate sauce and caramel sauce in a syringe! Decadence! I didn’t enjoy it as much; perhaps my expectations were far too high! Gorgeous decor, good food, a good little local place... with more consistent service it would have been great! Also have a gander at Big Fil's review of Ripponlea Food and Wine's breakfast offerings.